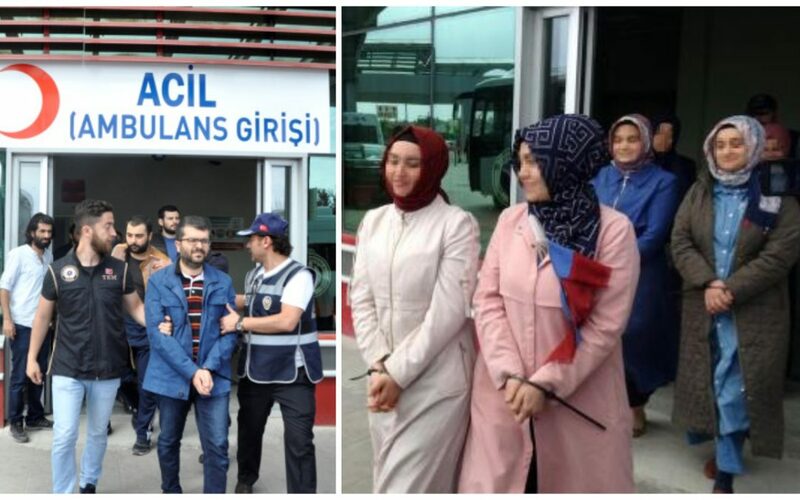 Twenty-one people in Turkey’s Afyon province were jailed pending trial over their alleged ties to the Gulen movement, media reported on Friday. On May 9, police carried out operations at 28 locations in Afyon in order to detain 36 people suspected of Gulen ties. At least 34 of the suspects were rounded up during the operations that mostly targeted those who have been in hiding in the face of the Turkish government’s post-coup crackdown against Gulenists. Media said police seized 18 forfeited IDs and 81 cell phones along with some money during the operations. 21 of the 34 detainees were put behind bars pending trial on Gulen links. The Turkish government blames the Gulenists for the July 15, 2016 failed coup while the latter denies involvement. More than 150,000 people including thousands of academics, teachers, judges, lawyers and may from other professions have passed through police custody and over 80,000 of them have been jailed pending trial since the summer of 2016. Some 150,000 have lost their jobs and the government cancelled their passports as well. Thousands of others are known to be in hiding across Turkey. Media earlier reported on many people who were arrested with fake IDs on them they would carry to avoid imprisonment.